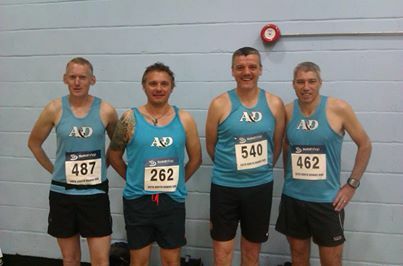 Four club members braved it for Sunday’s North Downs 30k, a succession of hills and trails not for the faint-hearted. It was a great day and we all made it back in one piece, just! Daniel Green was first home (33rd overall) in 2:24:47, Rob Butler was 44th in 2:29:32, Neil Buckley 199th in 3:02:54 and Eddie Rodger 245th in 3:10:21. Not exactly the best preparation for Tuesday’s relay at Walmer!